The Baker Administration Building is now the home for test proctoring services on the Rend Lake College Campus. Our staff is available to facilitate make up testing in a convenient, structured environment with flexible hours to accommodate most schedules. You must make every effort to attend the tests given by your instructor on the test date. In the event that you miss a test, you must contact your instructor to make arrangements for make-up testing with him or her first. If a time cannot be arranged to meet with the instructor, he/she will provide and schedule a make-up test with the Testing Center (Extension 1268) during the posted testing hours. You must bring a valid picture identification (Driver’s license or student ID) with you in order to make up a test. You must read and sign the student testing agreement. You must make contact with the Testing Center (Extension 1268) in order to arrange delivery and instructions for testing from your institution. There is a $15 fee for test administration. You must bring a valid picture ID (Driver’s license or student ID) with you in order to take the test. You will be subject to Rend Lake College’s policies on Academic Dishonesty and will be subject to the same penalties as RLC students for abuse of this policy. We reserve the right to deny the testing service to any outside agency should the offering of this service become problematic. Our STARS Program is a Student Support Services grant, funded by the U. S. Department of Education as a component of TRIO. It is designed to help eligible Rend Lake College students make the most of their college years by offering the counseling and academic support that may be needed to successfully complete a college degree and transfer to a four-year university. 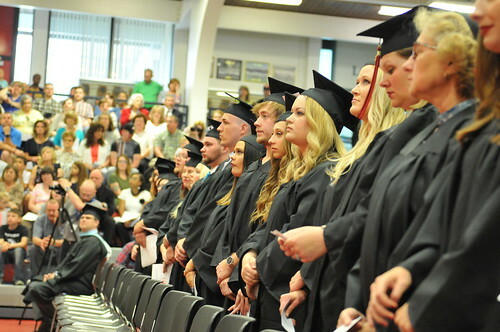 The STARS Program assists 160 Rend Lake College students each year.